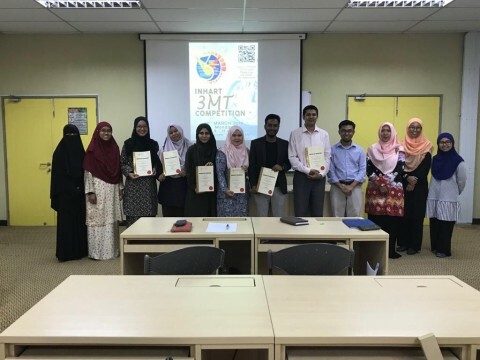 The International Institute for Halal Research and Training (INHART) was established at the International Islamic University Malaysia by IIUM Senate (March 2011) and IIUM Majlis (April 2011) and received approval from the Ministry of Higher Education Malaysia in August 2011. 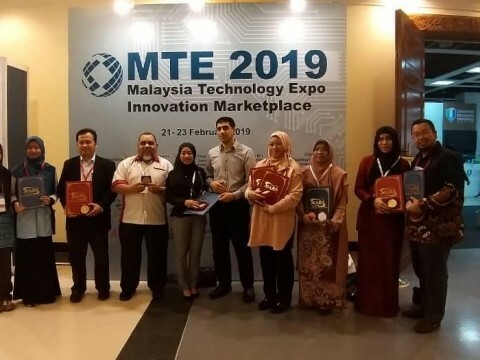 INHART is a centre of excellence at the university level and is expected to be recognized as one of the Higher Institutions' Centres of Excellence (HICoE) at the national level in the near future. 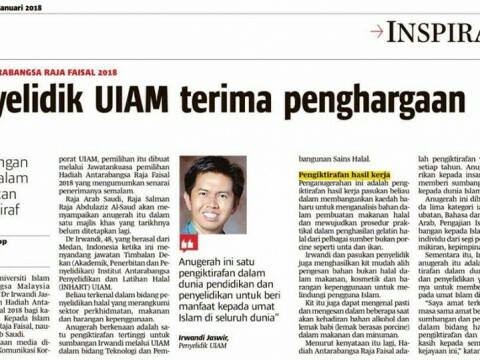 INHART history begins with the establishment of a special centre dedicated to Halal industry - “IIUM Halal Industry Research Centre”in July 2006. 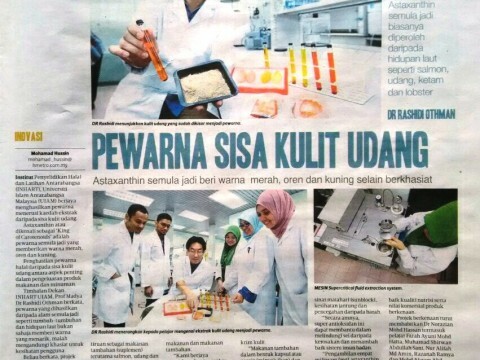 Prior to the birth of this centre, there were already pockets of activities related to Halal and Halal industry by academic staff from various Kulliyyahs. 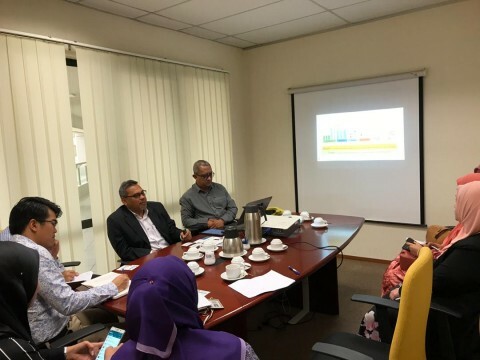 But with HIRCen, Halal activities at IIUM become more focus and better coordinated with the Research Management Centre becoming the monitoring body. 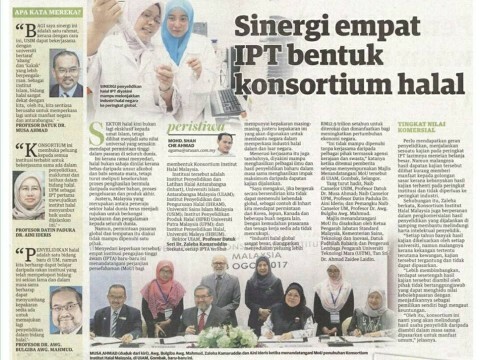 Like its HIRCen predecessor, the objective of the establishment of INHART is to provide a platform for IIUM to assist in fulfilling the Government of Malaysia aspiration to put Malaysia as the global Halal hub through INHART's long-term education (undergraduates and postgraduates academic programmes) and specialized short-term training programmes as well as shariah-compliant services. 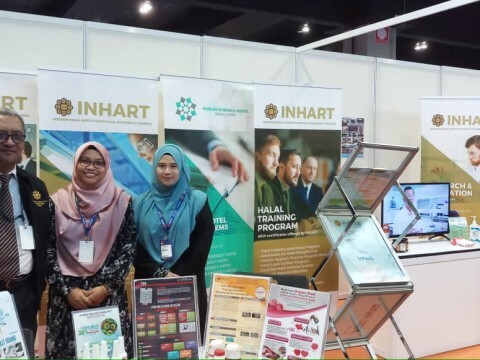 INHART aims to train future leaders in the Halal industry arena as well as to provide the required well-trained human capital to cater the needs of the halal industry in the research, development, innovation and commercialization of halal food, pharmaceuticals and consumer products as well as various shariah-compliant service industries like tourism and hospitality. 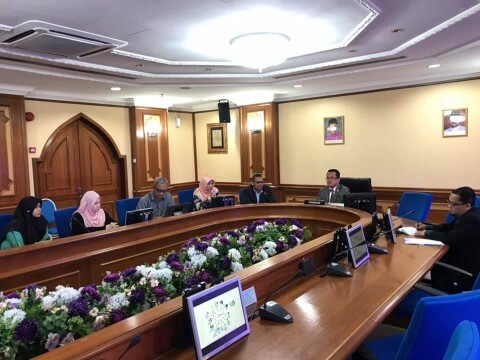 To provide a platform for IIUM to assist the government's aspiration to put Malaysia as the global halal hub and to assist halal industry efforts globally. 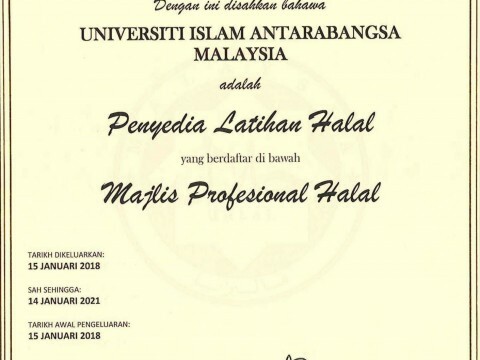 To become a renowned international halal centre of excellence that inspires humanity with halal lifestyle. 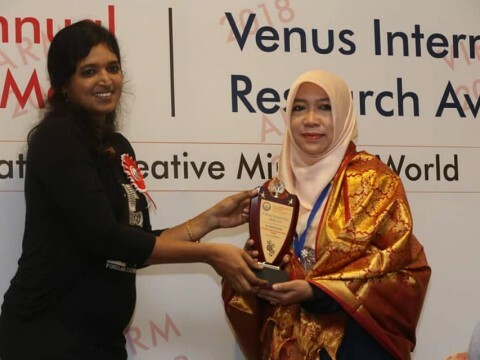 To provide world class education, research, training and consultancy related to the halal industry to the nation and beyond. 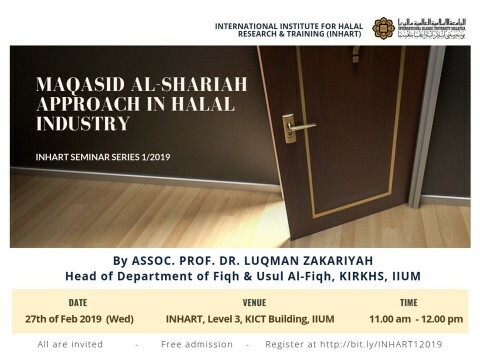 BOOK YOUR SEAT NOW !!! 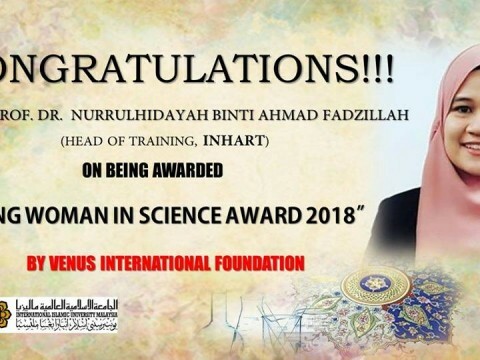 Congratulation Prof. Dr. Irwandi Jaswir, Deputy Dean INHART IIUM !